The Earth Cast Pavilion is an experimental structure that takes the speed of tilt-up concrete processes and proposes a system of pouring that utilizes the site as it’s form work and casting bed, minimizing waste and imparting earthen impressions on the final work. Harking back to the casting work of Paolo Soleri and inspired by the furniture of Max Lamb this project built on research my often collaborator Jia Wu and I developed in Andrew Kudless’ course at CCA. This project was also part of a competition to design the pavilion for the Tilt-Up Concrete Association‘s 2014 annual conference to be held in the Bay Area. 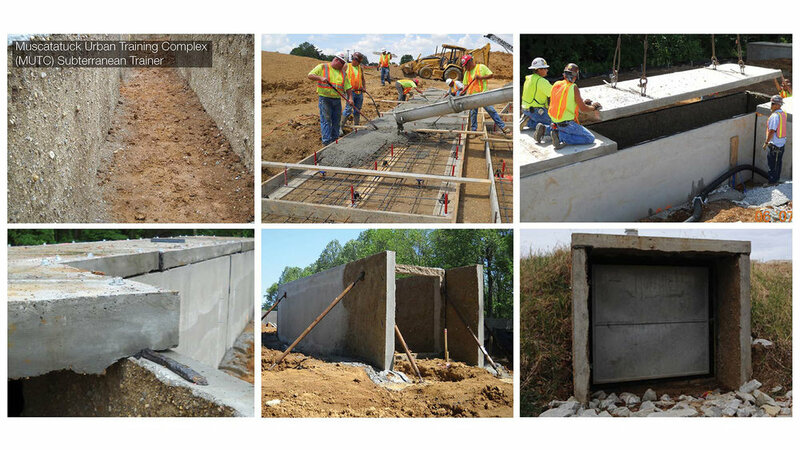 Taking the Muscatatuck Urban Training Complex as a precedent in which the earth impressions were used to great effect, we engaged casting research that involved pouring plaster on wet, angled beds of sand, with laser cut impressions pressed into them. We envisioned this being done at full-scale, single pours over shaped earth, with the laser cut form work replaced by large, CNC cut shapes or simply a projector and a kind of surveyor’s wheel. The generation of the wall panels recalls other earth art, such as the Nazca lines. The apertures in the roof are randomized but obfuscate the simple tessellating pouring process. With a single, repeatable shaped form work, the pavilion could take any shape or size. Within the larger structure the form work for the apertures would sit, and later reused to create other amenities, such as seats, tables, BBQ pits, etc. In this way we intended the pavilion to be of it’s site, creating as little waste as possible in it’s pouring and erection. In typical tilt-up processes, a pouring slab is needed to pour the walls and other elements onto. Using earth casting the site itself participates and becomes embedded in the final product, then disappearing back into the site.